Is it Wise to Use a Personal Loan to Buy a Car? 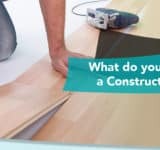 What do you Need for a Construction Loan? Do you Have to Worry About VA Loan Entitlement Expiration Dates? 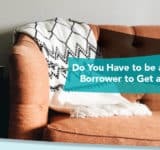 Do You Have to be a Low-Income Borrower to Get a USDA Loan? Can PMI Make you Unqualified for a Loan? Personal Get started today! It only takes a few minutes to get started and best of all, it’s completely free. Get started on your subprime mortgage loan today. Subprime.com is a website that provides readers valuable information which can help them achieve their financial goals. This service allows consumers to compare lenders and financial products. This site does receive compensation for referrals made through the links provided herein. Subprime.com is not a lender or a mortgage broker and does not originate any loan product or provide any financial product. It is not affiliated with your current mortgage servicer, FHA, VA, USDA, Fannie Mae, Freddie Mac, or any government agency, nor does it offer or originate mortgage loans. Subprime.com is not responsible for the accuracy of posted rates, annual percentage rates, or any other loan payment and/or rate details that are provided by lenders, brokers, or advertisers on this site. © 2018 Subprime.com is not a government agency or an insurance provider. By accessing or using the Site in any manner, including, but not limited to, visiting or browsing the Site or contributing content or other materials to the Site, you agree to be bound by these Terms of Service. This Site provides comparison Services for home goods and Services including but not limited to financial and insurance products. Further, a consumer may subscribe on this Site to receive email communications for additional product information and offers. The Site and its original content, features and functionality are owned by Upside Holdings, L.L.C. and are protected by all applicable U.S. and non-U.S. copyrights, patents, trademarks, and trade secrets, and other intellectual property rights thereto (collectively “Site/Services Content”). You may use the Site only for lawful purposes and in accordance with these Terms and Conditions. You agree not to use this Site in any way that violates any applicable federal, state, local, or international law or regulation. It is prohibited to transmit any unlawful material or material that is harmful, harassing, abusive, libelous, racially or ethnically offensive, invasive of another's privacy, vulgar, threatening, obscene, sexually explicit, tortious, defamatory, or that infringes or may infringe on the intellectual property or rights of another. It is prohibited to directly or indirectly interfere, or attempt to interfere with the proper working of this Site/Service or system integrities or securities; interference of any account, or any communication or transaction being conducted on this Site/Service. It is prohibited to use any robot, spider, other automatic device, or manual process to monitor or access or copy our web pages or any content without our prior expressed written permission; take any action which imposes an unreasonable or disproportionately large load on our infrastructure; post, upload, transmit, submit, email or make available by any other means any data or content protected under any law or contractual relationship that you do not have the right to distribute. It is prohibited to use any manual process to monitor or copy any of the material on this Site or for any other unauthorized purpose without our prior written consent. It is prohibited to fraudulently impersonate yourself as someone else or hide or attempt to hide your identity. It is prohibited to attempt to interfere with the proper working of this Site. In no event shall Upside Holdings, nor its subsidiaries, licensors, directors, shareholders, employees, partners, agents, suppliers, or affiliates, be liable for damages, direct or consequential, resulting from your use of the Site, and you agree to defend, indemnify and hold us harmless from any claims, losses, liability costs and expenses, including but not limited to attorney's fees, arising from your violation of any third-party’s rights or any errors, omissions, or other inaccuracies in, or destructive properties of this Site or the Site content. You agree to indemnify and hold Upside Holdings, its subsidiaries, affiliates, agents, shareholders, officers contractors, vendors, employees, and Service providers harmless from any claim or demand, including reasonable attorneys' fees, made by any third party due to or arising out of your use of this Site/Service, the violation of this Agreement by you, or the infringement by you, or other user of this Site/Service using your computer, of any intellectual property or other right of any person or entity. Upside Holdings and its Service providers assume no responsibility whatsoever for such content or actions. Upside Holdings reserves the right, at its own expense, to assume the exclusive defense and control of any matter otherwise subject to indemnification by you. The content and all Services associated with this Site are provided to you on an “as-is” and “as available” basis. The Site is provided without warranties of any kind, whether express or implied, as to the operation of our Services or the information, content, materials, Services included on or associated with our Services including but not limited to any financial product or lender you may choose. You expressly agree that your use of our Services is at your sole risk. Upside Holdings, its subsidiaries, affiliates, and its licensors do not warrant that a) the Site will function uninterrupted, secure or available at any particular time or location; b) any errors or defects will be corrected; c) the Site is free of viruses or other harmful components; or d) the results of using the Site will meet your requirements. You acknowledge and agree that we are not a lender, broker, investor, financial institution, or other Service provider. You acknowledge and agree that we are solely an intermediary between you and such persons or institution and, therefore, we expressly disclaim any and all liability to any content, Services or financial products provided by such parties. YOU HEREBY AGREE TO RELEASE, REMISE AND FOREVER DISCHARGE UPSIDE HOLDINGS AND ITS SERVICE PROVIDERS AND EACH OF THEIR RESPECTIVE AGENTS, DIRECTORS, OFFICERS, EMPLOYEES, INFORMATION PROVIDERS, AND EACH OF THEIR RESPECTIVE AGENTS, DIRECTORS, OFFICERS, EMPLOYEES AND ALL OTHER RELATED, ASSOCIATED, OR CONNECTED PERSONS FROM ANY AND ALL MANNER OF RIGHTS, CLAIMS, COMPLAINTS, DEMANDS, CAUSES OF ACTION, PROCEEDINGS, LIABILITIES, OBLIGATIONS, LEGAL FEES, COSTS, AND DISBURSEMENTS OF ANY NATURE WHATSOEVER WHETHER KNOWN OR UNKNOWN, WHICH NOW OR HEREAFTER EXIST, WHICH ARISE FROM, RELATE TO, OR ARE CONNECTED WITH YOUR USE OF THIS SITE AND SERVICE. BY ACCESSING AND/OR USING ANY UPSIDE HOLDINGS SITE/SERVICES OR SERVICES, YOU AGREE TO THESE TERMS AND CONDITIONS OF THIS ARBITRATION AGREEMENT. DO NOT USE UPSIDE HOLDINGS SERVICES OR SUBMIT ANY CONTACT INFORMATION IF YOU DO NOT AGREE TO THESE TERMS. THIS AGREEMENT IS BINDING TO ARBITRATE ALL CLAIMS. YOU AGREE THAT DISPUTES BETWEEN YOU AND UPSIDE HOLDINGS WILL BE RESOLVED BY BINDING, INDIVIDUAL ARBITRATION AND YOU WAIVE YOUR RIGHT TO PARTICIPATE IN A CLASS ACTION LAWSUIT OR CLASS-WIDE ARBITRATION. THIS AGREEMENT PROVIDES THAT ALL DISPUTES BETWEEN YOU AND UPSIDE HOLDINGS WILL BE RESOLVED BY BINDING, INDIVIDUAL ARBITRATION AND NOT IN COURT OR BY JURY TRIAL. IF A DISPUTE IS ARBITRATED, YOU GIVE UP YOUR RIGHT TO PARTICIPATE AS A CLASS REPRESENTATIVE OR CLASS MEMBER ON ANY CLASS CLAIM YOU MAY HAVE AGAINST UPSIDE HOLDINGS INCLUDING ANY RIGHT TO CLASS ARBITRATION OR ANY CONSOLIDATION OF INDIVIDUAL ARBITRATIONS. Review this section carefully. This arbitration provision limits your and Upside Holdings’ ability to litigate claims in court and you and Upside holdings each agree to waive your respective rights to a jury trial or a state or federal judge. You agree that you will not file any lawsuit against us in any state or federal court. We strive to never have a dispute, but if we do, you and we agree to try for 60 days to resolve it informally. If no resolution results from this informal process, you and we agree to binding individual arbitration before the American Arbitration Association (“AAA”) under the Federal Arbitration Act (“FAA”), and not to sue in court in front of a judge or jury. As an alternative, a neutral arbitrator will decide and the arbitrator’s decision will be final except for a limited right of appeal under the FAA. Class action lawsuits, class wide arbitrations, private attorney-general actions, and any other proceeding where someone acts in a representative capacity aren’t allowed. Nor is combining individual proceedings without the consent of all parties. You agree that the Arbitrator will have sole and exclusive jurisdiction over any dispute you have with us. The Federal Arbitration Act allows for the enforcement of arbitration agreements and governs the interpretation and enforcement of the agreement to arbitrate. If any provision of this Arbitration Agreement is found to be invalid or unenforceable, then that specific provision shall be of no force and effect and shall be severed, but the remainder of this Arbitration Agreement shall continue in full force and effect. No waiver of any provision of this Arbitration Agreement will be effective or enforceable unless recorded in a writing signed by the party waiving such a right or requirement. Such a waiver shall not waive or affect any other portion of this Agreement. This Arbitration Agreement will survive the termination of your relationship with Upside holdings. We reserve the right to change any content, feature or functions of our Site/Services without prior notice. We may deny you access to the Site/Services for any reason without prior notice if you engage in any conduct or activities that we determine, in our sole discretion, violate these Terms, our legal rights or the legal rights of any third party or are otherwise inappropriate. We are not responsible for any errors or delays in providing the Site/Services whether caused by errors in the registration information you provided by any technical problems in our system. We collect information from you when you subscribe for services on our site. When subscribing on our site, as appropriate, you may be asked to enter your: name, e-mail address, mailing address or phone number. You may, however, visit our site anonymously. Tracking data collected by us is used to enhance your experience by delivering personalized advertising, or allow third parties to deliver targeted advertising on our website and the websites of third parties. If you wish to disable cookies, you may do so through your browser on your computer or other devices. Tracking Data: California residents have the right to know if we respond to do not track signals or cookies. We do not respond to such signals or cookies. Cross-Device Advertising and Tracking: We may collect and use and share the above data with a third party for cross-device advertising. This allows consumers to experience a personalized, informative advertisement that targets specific product interests over multiple devices. This information may be used for analytics, and reporting purposes such as overall campaign success and advertisement effectiveness. We may apply push notifications and alerts to send you notifications of services and/or products that you have expressed interest in on multiple devices. If you wish to discontinue these communications, you may turn them off at the device level. California Privacy Rights-We permit residents of the State of California to use our service, and comply with the California Business and Professions Code §§ 22575-22579. If you are a California resident please note we do not respond to do not track signals or cookies. We will not distribute your personal information to outside parties without your consent. You may request certain information regarding our disclosure of personal information to any third parties for their direct marketing purposes. Please mail your request to the address under our contact information. Any of the information we collect from you may be used to personalize your experience, to improve our website, to manage and protect our information technology infrastructure and security, to improve customer service, or to send you email communications. We share your information with third parties who will provide you with their products, services or opportunities. We receive compensation for referrals made through this site from third parties. We may also share your information with companies and individuals we employ to perform technical functions on our behalf. We may also share your information as permitted by law: We will disclose your information if legally required to do so, or at our discretion, pursuant to a request from a governmental entity, or if we believe in good faith that such action is necessary to stay legally complaint or prevent a crime. We will also share your information if we sell our company or merge with another company. We will share your information with third parties who help us in the delivery of the products and services you have requested. We take commercially reasonable technological precautions to protect your data, We implement a variety of security measures to maintain the safety of the information you enter and submit on this site. Depending on site requirements, we may employ Secure Sockets Layer (SSL) encryption technology to transmit data between a consumer’s browser and our web server. To use our websites, a consumer will need an SSL-capable browser such as MS Internet Explorer 4.0 (or higher) or Netscape Navigator 4.0 or higher. Please do not communicate any information to us through unsecured channels. We require that third parties handle your information similar to our practices. We do not monitor such practices and therefore we are not responsible for third party security or handling of your information. To request a copy of your information that we have collected or to correct factual inaccuracies within this information please email us HERE to. If you would like to opt-out of receiving email communications from us, you may follow the instructions in our emails to unsubscribe from our list or by emailing us HERE to.